Just a quick post to share the latest fall addition since I can no longer suppress my excitement as they are taking a while to arrive. 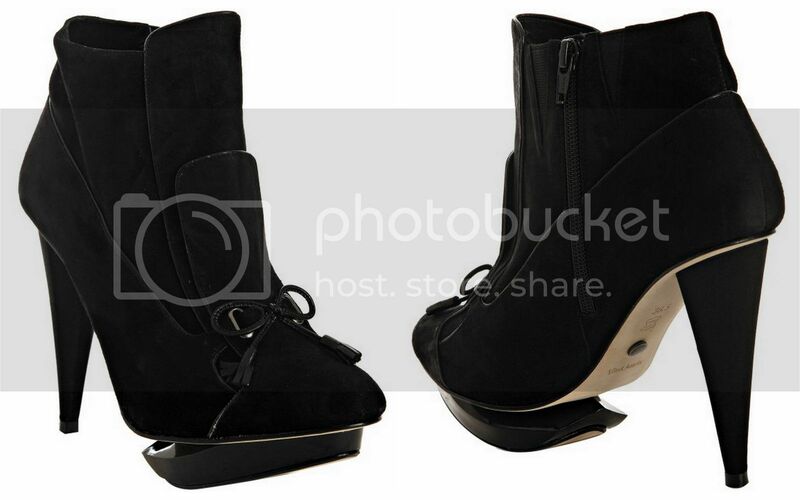 I found a perfect pair of booties from Velvet Angels.Yay! Although I am crazy in love with my Michael Kors and Stella McCartney pairs, I am super excited to add these babies to my collection. I adore the structured enamel platform, the cute little bow and of course the height :) I just hope that the shoes are as fantastic as their reviews...of course, I will share my thoughts as soon as I get my footsies into them .